How can the Book of Confessions help elders and lay leaders when they face challenging situations within their congregations? John P. Burgess offers answers in Confessing Our Faith. 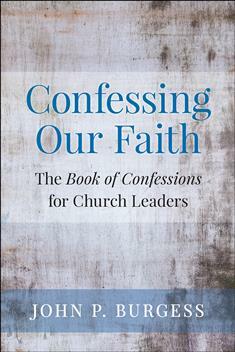 Using the confessions as a framework, Burgess covers areas of ministry such as stewardship, evangelism, discipleship, and conflict resolution, offering in each case ways in which the lay leader can respond. A unique and practical reference, Confessing Our Faith is designed to aid church leaders in understanding how their work can be informed by the confessional documents.